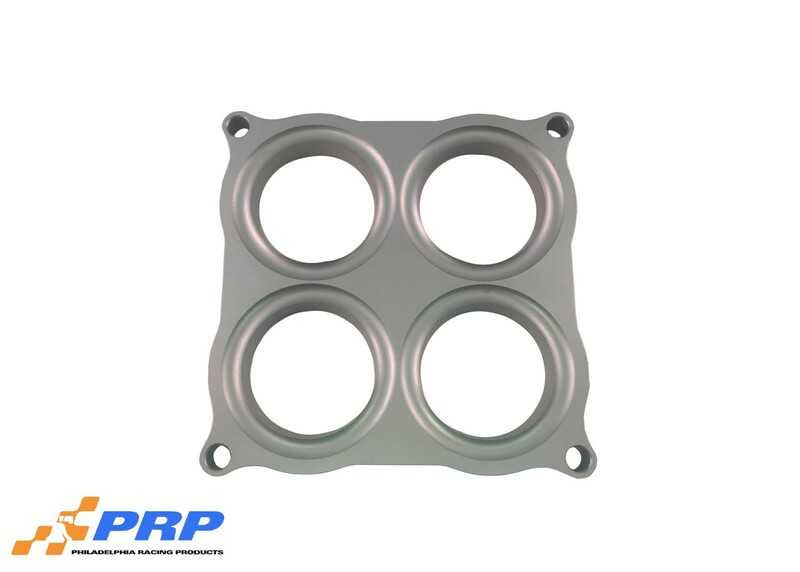 PRP’s specially designed carburetor spacers to have a built-in shear plate design to give you maximum performance from your race engine. The 7-degree tapered bore plates are used by many NHRA Comp and Pro Stock engine builders. Our Shear Plates are designed to build low pressure under the throttle plate and help the vacuum signal to the carburetor booster. Each plate is machined from 6061-T6 billet aluminum and anodized clear for corrosion protection. These plates are available for 4150 with an 1-3/4″ bore and 4500 carburetors with a 2″ bore, or a 2-1/8″ bore.